11 Must-Visit Places In Mumbai That Are Worth Visiting But Are Less Visited. The land of dreams Mumbai is one of the best cities in India. From Bollywood to Sensex, everything is based in Mumbai. But the main problem is people only visit places which are famous. It’s high time people realize that Mumbai is much more than Essel World and Juhu Beach. Here are 10 must-visit places in Mumbai which are less visited. Situated Near Gorai in Borivali, Global Vipassana Pagoda is a meditation hall which totally refreshes your mind body and soul. The aim of pagoda is a Gratitude to Gautama Buddha for dispensing what followers believe is a universal teaching for the eradication of suffering, to educate the public about the life and teaching of the Buddha, and to provide a place for the practice of meditation. How To Reach: Catch a ferry to go to Pagoda from Gorai beach. Being the 1st cricket gallery in Mumbai, it boasts of some stunning memories of Indian cricket. Apart from the statues of Indian cricketers, the cricket kit used by them and myriad photographs are also placed for cricket fans to relive some wonderful memories. It also has a wax statue of Sachin Tendulkar and the World cup winning trophy of 2011. A stunning Science Museum in Worli, Mumbai which portrays the growth of science and technology and their applications in industry & human welfare, with a view to develop scientific attitude and temper and to create, inculcate and sustain a general awareness amongst the people. This newly renovated aquarium is the only aquarium in Mumbai and it has been started after a decade long wait. Kids can even touch fishes at this aquarium. The key attraction 12-foot long and 360 degree acrylic glass tunnel from which visitors can enter. Â Karnala is a quaint fort overlooking a sprawling bird sanctuary. Situated along the Mumbai-Goa highway, it is at a distance of about 10 km from the city of Panvel. It is an absolute beginnerâ€™s trek amidst the natural flora and fauna of the enclosed sanctuary. The relative ease of this trail also provides an excellent opportunity for parents to introduce their children to trekking and nature. It has 7 different internationally themed zones which will keep you occupied for the entire day. You will never fall short of excitement or thrills, thanks to the mascots that will make sure you are treated with the best of hospitality. There are zones like thrill rides, 7 wonders of the world, a massive food court and other areas ensuring 360 degrees of sheer entertainment. As the name itself suggests, Vardhman Fantasy has enough potential to win over your fantasies. It is one of the most cheapest zoos in the world which charges Rs.5 for an adult ticket. This zoo has myriad birds and animals including Humboldt penguins, Asian elephants, crocodiles and African parrots. They are also planning to add an theater auditorium soon. A train which covers the nature & beauty of Sanjay Gandhi National Park. This fun Toy Train Ride is for both children’s and adults. This train covers around 2.5 KM distance in about 15 minutes & takes you along the foothills of the Mahatma Gandhi Memorial, traverses a couple of bridges and tunnels and passes over the Deer Park. This is a place which is exactly what it claims to be – a heaven for stand up comedy. It is always worth visiting this place for an evening when you want to forget your worries and put a funny twist to the pressing issues of the day. The rest is just background noise. An awesome rooftop bar & restaurant which will take your breath away. 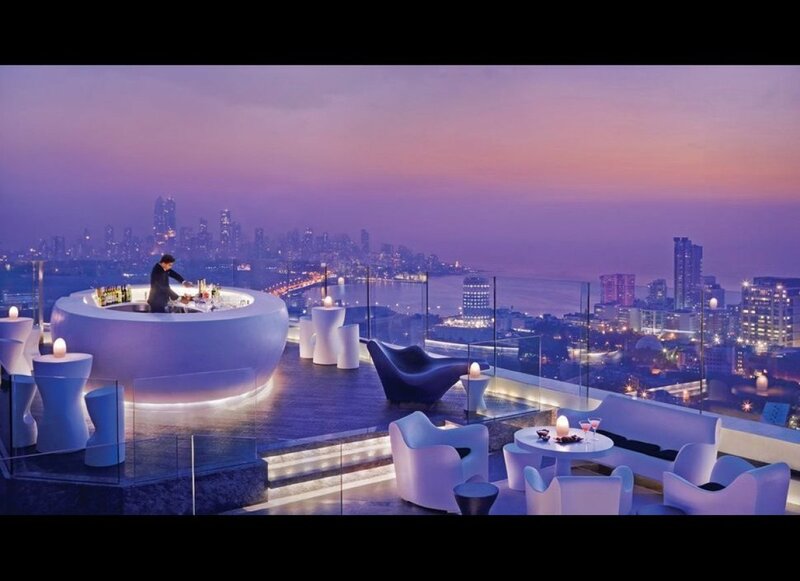 Marvel at the panoramic city and sea views and the endless ceiling of sky and stars at AER lounge, Mumbai’s highest rooftop bar situated at the 34th floor. The entire atmosphere is one of electric ambience and people enjoy with their families the sight of this carnival ambience. Street shopping, street events, concerts,Â food stalls, plays, and amusement rides form a major part of this festival. This 180 degrees theater in Ghatkoper gives you the most royal cinematic experience while you are watching a movie. Enjoy a couple’s coziness or take your family and dine together while relaxing on the sofa seats. If you need anything, then just press a button on your seat & a host will come to attend your needs. Its a must visit atleast once for the royal experience. Cost: Rs.600 per ticket. But it includes your food of Rs.300 too. Can we know who has a tickmark for all these places? Next articleWhen This Man Opens The Door Of His Tiny Apartment, You Will Be Amazed!